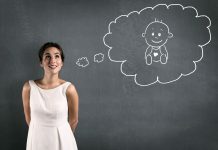 If you are a plus-size mom, you may be wondering whether or not your size will make any difference during labor and delivery. Don’t worry. Most hospitals are readily able to accommodate even the largest moms-to-be. Most hospitals will have hospital gowns that will fit you. If the first one you are offered doesn’t fit well, ask for a larger gown. If larger gowns are not available, ask if you can labor in your own gown or t-shirt, or ask for a second gown and wear one frontwards and one backwards. If you are plus size mom, insist that staff use a large blood pressure cuff (this should be done at all of your prenatal visits too). Using a cuff that is too small can give an inaccurate reading. Because your blood pressure is an important indicator of how you are handling labor, you want the most accurate reading possible. Fetal monitors adjust with velcro, and will accommodate most plus size and even some super size women. If you are concerned about this, talk with your doctor well in advance of delivery. Sometimes fetal monitor straps can be adjusted or extended with gauze. What likely will not fit is the mesh underwear they give you after delivery to hold your sanitary napkin in place. For this, you have two choices. You pull the mesh underwear just up to bikini level and hope it is comfortable enough to wear, or you can use your own underwear. If you use your own underwear, be prepared to deal with blood stains afterward, which can usually be removed with cold water and enzyme pretreatment products. Be sure to ask for a large wheelchair when it is time for you to be discharged if the nurse does not automatically bring a large one. 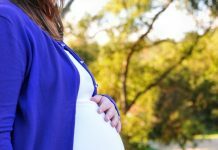 Next articlePeriods During Pregnancy – Are They Cause For Worry?